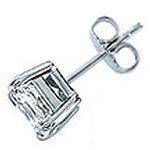 Asscher Cut Diamond Stud Earrings 0.80 tcw. Asscher Cut Diamond Stud Earrings 0.60 tcw. Asscher Cut Four Diamond Box Earrings 2.00 tcw. 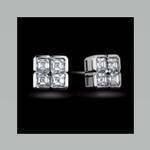 Asscher Cut Stud Diamond Earrings 1.20 tcw.